ERAI Turkey offers luxurious offices, located in the largest business district on the Asian side of Istanbul. With quality services and exceptional comfort, you can focus on productivity and the development of your business in Turkey. We provide a welcoming and cozy workspace and services to help you achieve success in your projects and goals! The Business İstanbul Plaza, designed by Efekta Architecture, offers unique alternative to the business world with its innovative architecture and comfortable office life to the ones who want to take part on the top of business life and to be in the most central location of Istanbul regarding transportation. The choice of Erai Turkey office’s location in Göztepe is due to the suggestions of our tenants and their businesses. Our location is within close proximity to ferries, fast access to the motorway, and ease of movement to the industrial areas of Gebze, Kocaeli, Sakarya and Bursa. Many companies are moving to the Asian side for the unquestionable ease of mobility, including many French companies such as L’Oreal, Pierre Fabre, Peugeot, BNP Paribas, Carrefour, Total and others. ERAI Turkey offers a total capacity of 500 m² space and can accommodate 55 to 60 people in total, on a full floor of luxurious Business Istanbul Plaza. Find 9 spacious offices in different sizes and different capacities and 4 co-working spaces. First of all, you can find 5 offices of 12 m² that can accommodate 2 to 3 people in each, 15 people totally. ERAI Turkey also provides 3 spacious offices with 20 m² space each where 10 people (maximum) can work together. Note that: These co-working spaces are separately located and suitable for companies with up to 10 teammates. In the heart of the office, an open space area for 6 people and one more open space area for 2 people are available in independent places. 1 office of 14 m² area where 4 to 5 people can work together is available. In addition, 1 office of 6 m² is suitable for a team of 2. The center of the office is occupied by a spacious and equipped meeting room that can host 12 to 16 guests. The open kitchen is fully equipped and ready to serve with its door opening to our pleasing terrace. Our beautiful terrace with 100 m² open area perfect for working in the fresh air and enjoying the sunshine, is at the disposal of ERAI Turkey’s co-workers. Outside the office, a spacious lobby is accessible with comfy sofas where you can socialize with other people and have a dessert with coffee from the café and feel like you are home. The office has been specially designed for ERAI Turkey by an interior designer in order to create a modern, comfortable and functional office. Every detail of this office has been considered to frame a cozy and friendly environment. 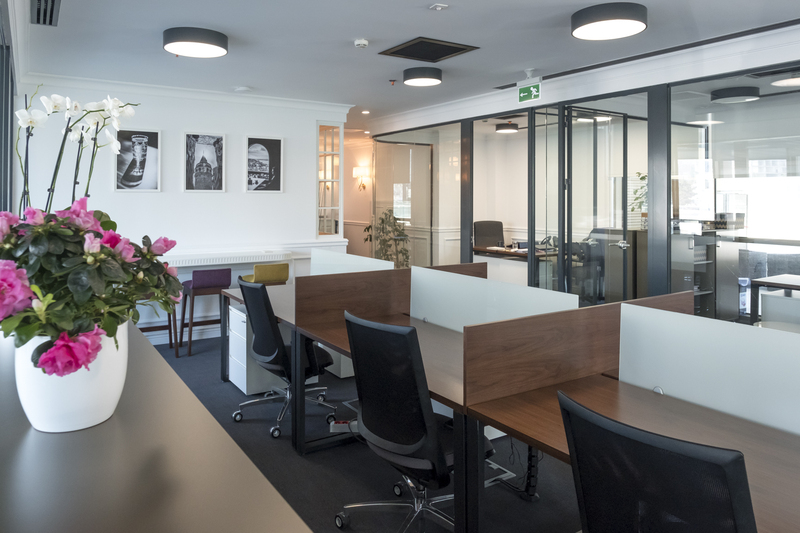 If you are interested in renting one of our offices, please contact us for your further questions and to get a quotation through our contact form. Why rent an office at ERAI Turkey? Access meeting rooms with seating ranging from 6 to 20 people. Convenient location in the heart of the business district on İstanbul`s Asian side. A friendly, welcoming, and open work space suited for sharing ideas. Onsite assistance network is available to support you! 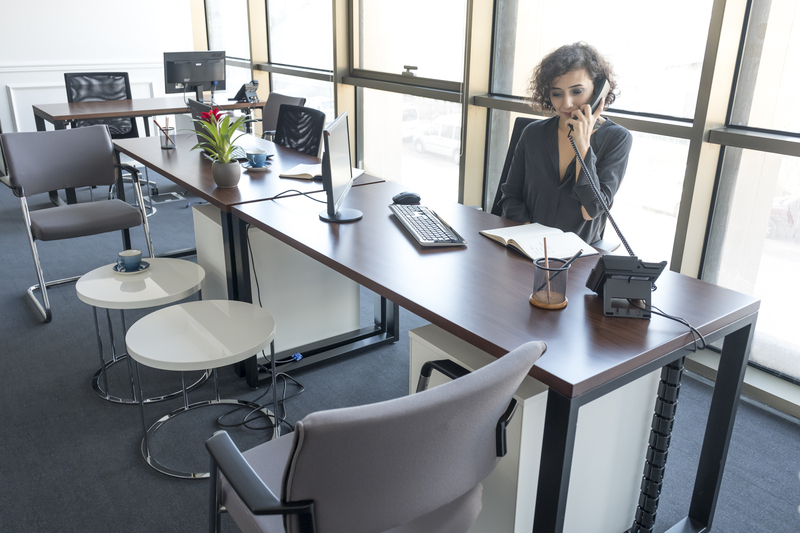 Find more information about renting an office in Turkey through this article.